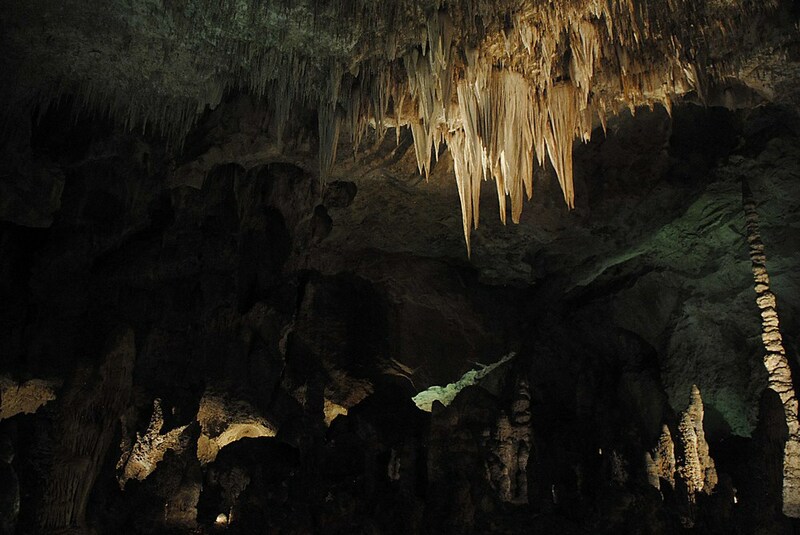 Ansel Adams was right - visiting the Carlsbad Caverns transports you to an alien environment, with towering formations that have never seen the light of day. Descending into the dark labyrinth of caves hollowed out over centuries by water, birdsong and the rustling of leaves are left behind in favor of the drips of water echoing through the cavern's humid chill. As creatures largely dependent on sight, we are stripped of our senses, for even sound travels differently in the caves. Thankfully the main caves are lit spectacularly, and even the farther cave systems we climbed had the benefit of headlights. But when our entire group turned off all lights at the furthest part of the cave, the darkness was so complete and oppressive your mind struggles to somehow compensate, creating illusions to reassure itself. Early explorers would spend days (sometimes even weeks) measuring these underground caverns, and it's easy to imagine them succumbing to madness for lack of light or noise.